According to an article in the MetroWest Daily News, a man attempted to enter a Framingham apartment located at 12 Richardson Circle in the early hours of Saturday morning. A resident reportedly called the police and alleged that someone had broken into his home. The resident stated that he noticed that a man had opened the door to the apartment and was starting to enter. The resident stated that he was scared, but was able to force the door shut and then called the police. When the police arrived, they found the man in the mudroom and arrested him. During the course of the arrest, the officers searched the man and located several bags of marijuana hidden in his sock. The man was subsequently charged with (1) entering without breaking in the nighttime, owner put in fear, under G. L. c. 266, § 17; and (2) possession of marijuana with the intent to distribute, under G. L. c. 94C, § 32C. To prove that the man is guilty of entering without breaking, the Commonwealth would have to show beyond a reasonable doubt that he entered a building, and put the owner (or in this case, resident) of the building in fear. Entry is defined as the unlawful making of one’s way into a building. Entry occurs if any part of the defendant’s body – even a hand or a foot – physically enters the building. To prove that the man is guilty of possession with intent to distribute marijuana, the Commonwealth would have to prove beyond a reasonable doubt that the substance that was found is in fact marijuana, that the man possessed the substance, that he had the intent to distribute it to another person, and that he did so knowingly or intentionally. Given the state of the facts, the man may have a defense to each of the charges. In terms of the first charge, there seems to be a question as to whether he was in fact the same person that the resident saw entering his apartment. There is no indication as to whether the resident provided a description of the individual to the police, or whether he even had an opportunity to get a good look at the man. 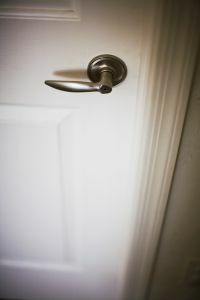 Additionally, it seems unlikely that whoever attempted to enter the apartment would have hung around after the resident forced the door shut and called the police. Therefore, the man’s attorney, through further investigation, may be in position to argue that the man was not the person observed by the resident. The man appears to have an even stronger defense in relation to the second charge: possession with intent to distribute. Specifically, his attorney may be able to argue that the man did not intend to sell the marijuana that the police found in his sock. There is no indication that the amount of marijuana was substantial, or beyond an amount that an individual might have for personal use. The fact that it was found in several different bags does not necessarily mean that the man intended to sell it either, as he easily could have purchased several bags for himself. Furthermore, there is no other indication that the man intended to sell the drugs. For example, many people selling drugs have some quantity of cash on them, have multiple cellular telephones (one for personal use, one for business), or have some sort of packaging materials, such as plastic bags or scales. Given the fact that the man had none of these “indicia” of drug dealing, he appears to have a good defense to the Commonwealth’s claim that he intended to sell the marijuana that was found on him. If you or a loved one is facing criminal charges, you will need an experienced defense attorney to help you. Attorney Daniel Cappetta is a knowledgeable and skilled attorney who will make sure that you have the best defense possible. Call him for a consultation today.